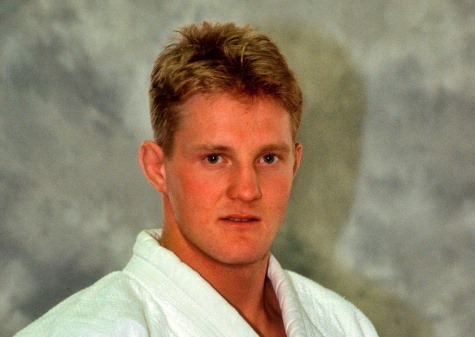 March 25 - British Judo have paid tribute to former European champion and Olympian Ryan Birch, who has died in a road traffic accident in the Bahamas at the age of 43. Birch began his ascendancy to the top of the sport in the late 1980's, claiming bronze at the 1988 European Junior Championships before going on to win gold at the British Open in 1990 at the age of 19. Kingston-upon-Hull-born Birch represented Britain at two Olympic Games, Barcelona 1992 and Atlanta 1996, and reached the pinnacle of his career in 1994 when he was crowned -78kg European Champion in Gdansk, Poland, defeating Belgium's Johan Laats in the final. After signing off with a bronze medal at the British Open in 1999, he went on to become a commercial airline pilot. It is believed that Birch was involved in a head-on collision with a truck in rainy conditions close to Odyssey airport in the Bahamas last week. The 43-year-old lived in Manchester with his wife Rowena Birch, a former teammate and British Judo director, and his two children. "We are deeply saddened by tragic passing of Ryan Birch who had dedicated his life to judo with great success." said British Judo chief executive Andrew Scoular. "We send our heartfelt condolences to Ryan's family and friends at this time." British Judo Chairman Kerrith Brown said: "Ryan was held in great esteem in the sport and was not only a world-class judoka but also a wonderful human being."